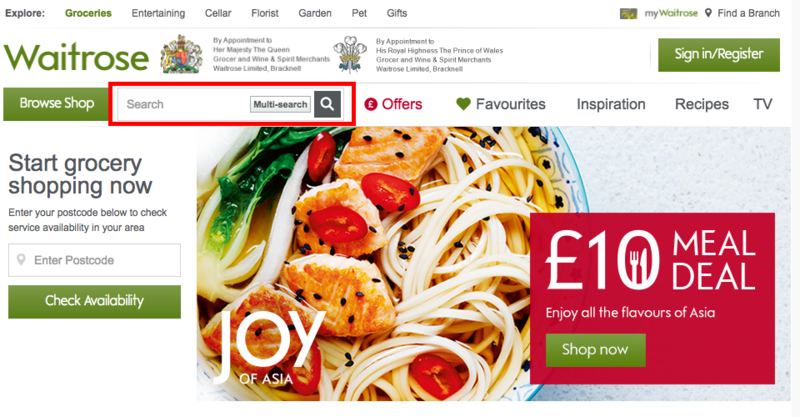 In this article we look at the little details that can make a difference to conversions, often by making tasks easier for your web visitors. A lot of good design and UX can go unnoticed, or rather it’s more noticeable when it isn’t there. For example, so many retailers allow you to transfer the address details you entered to the billing page that it’s a surprise when you encounter a site that doesn’t do that, as well as being a pain to have to enter the same data twice. The checkout process can be the major barrier to conversions on mobile, thanks mainly to the effort required to enter address and payment details. 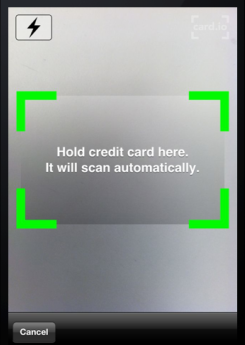 Anything which reduces the effort required naturally helps, and one such method is card scanning for payments. 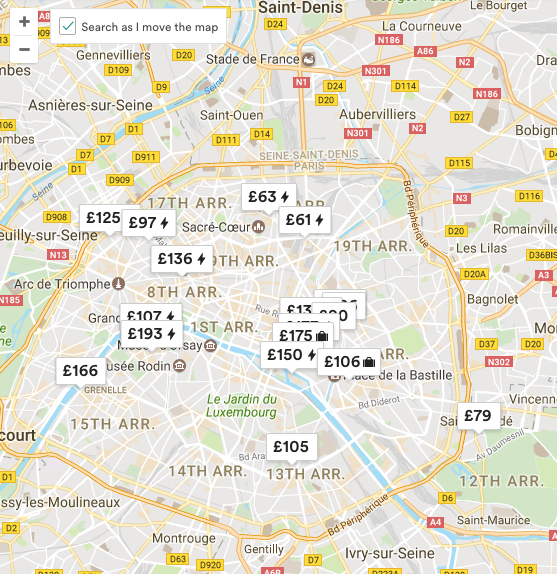 I’ve seen this in use on hotels.com and also Uber, as in the example above. 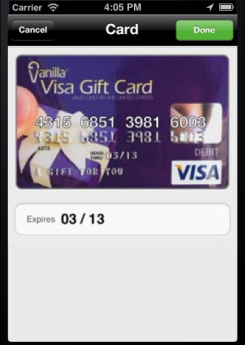 It removes the need to type in card numbers and expiry dates, and makes payment a little bit easier. This may be so subtle that it goes unnoticed by some, but it’s a neat idea. The message in the top changes according to the visitor’s location, telling them that Threadless can ship to their location. It’s a nice way of reassuring people and saves them from hunting through the site for this information. 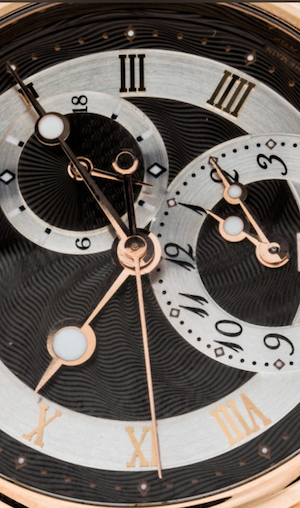 Finding the right fit is a key challenge for fashion retailers, and many have implemented features like fitting tools to help customers, and reduce returns. 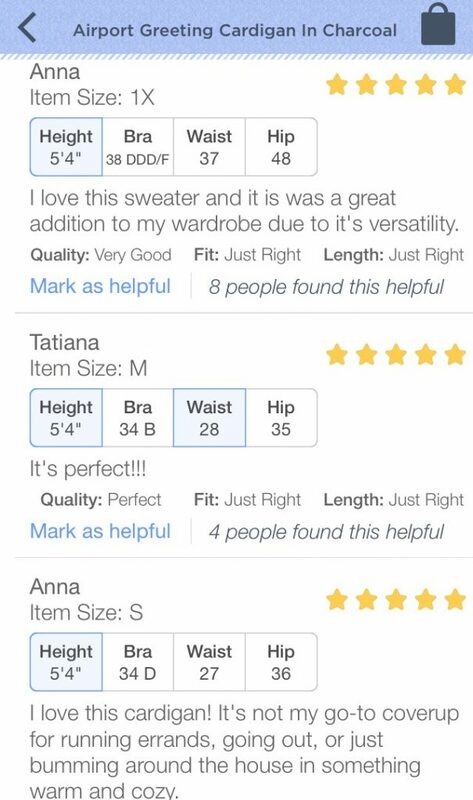 Here, ModCloth shows reviewers’ measurements and matches them to those on the customer’s profile, highlighting them. This isn’t necessarily ground-breaking design, but it’s good for the user experience, and something many sites still don’t do for mobile users. 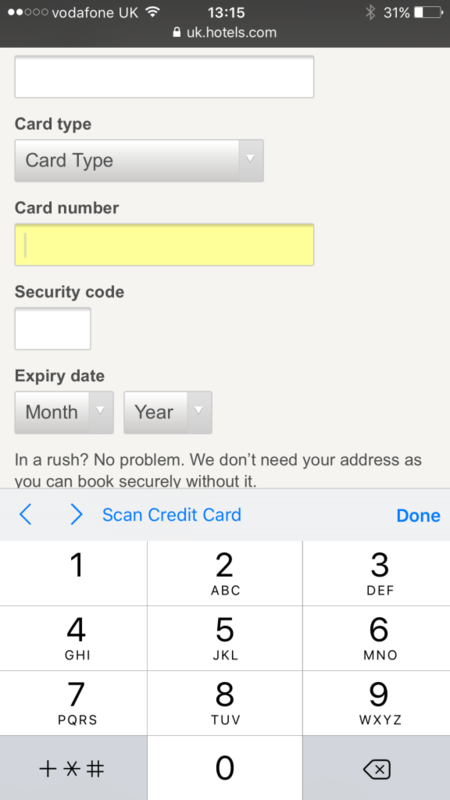 Hotels.com shows the appropriate touch keyboard for the field when browsing on mobile – numeric keyboard for card entry for example. 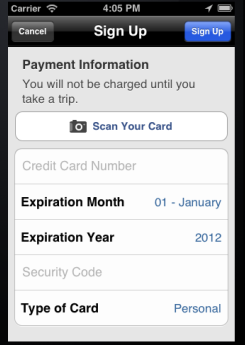 It makes it easier to enter a 16 digit card number and makes checkout just a little more pleasant to use. 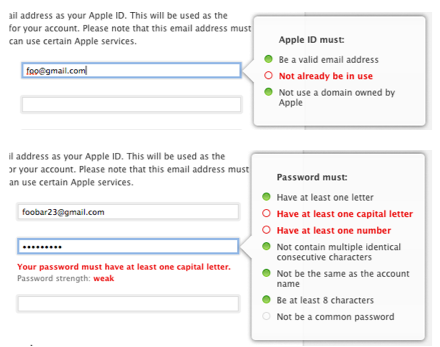 Password creation can be a problem if the requirements are overly strict, or just not explained to users. It’s simple enough to solve this with a piece of microcopy which explains the password rules, as here from House of Fraser. Customers can then avoid errors and proceed through forms more easily. 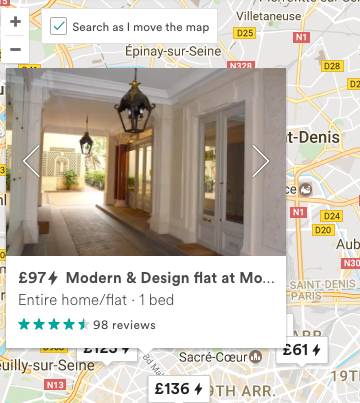 The maps are very useful on Airbnb as a way to quickly search by location. The ability to search as you move the map. This allows you extend the search radius easily and browse possible locations without having to amend the search. Showing available locations and prices. This helps people to make a quick decision. Quick previews of apartments. This makes it easier to quickly assess each property to decide if it looks suitable. 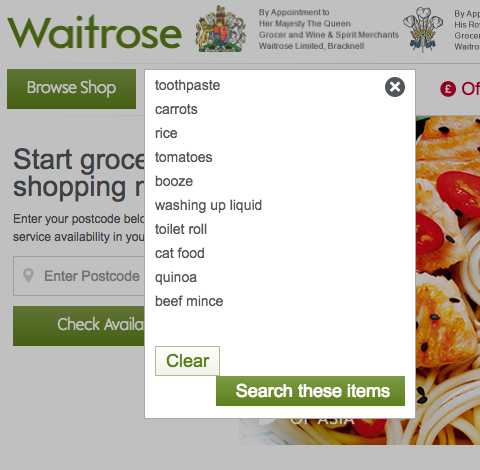 The multi-search feature is a great shortcut for shoppers wanting to search for several of their shopping list items at once. 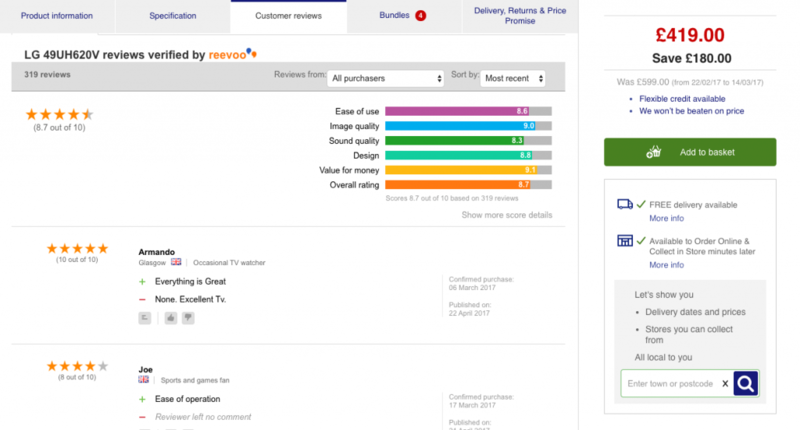 Currys is well aware people will carry out some comparison shopping having viewed their product pages. The retailer can’t prevent anyone leaving the site to compare prices, but does what it can to convince shoppers they won’t be able to find a better deal elsewhere. The smart bit here is recognising that people are likely to copy product names and codes before pasting them into Google, and delivering the message at this point. 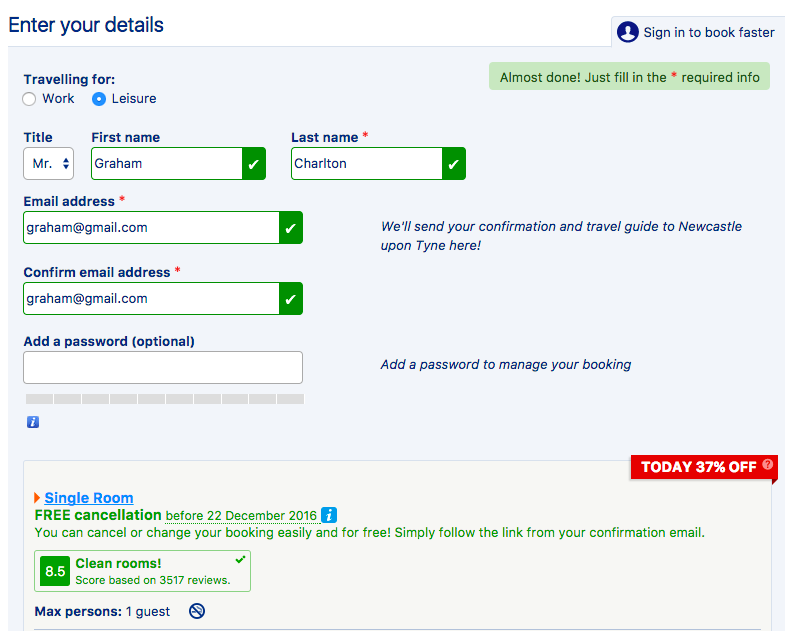 I’m including this example for the use of in-line validation which provides instant feedback to users as they complete forms. It should minimize the number or errors made, and help to reduce form abandonment. It’a an obvious thing to do, but many sites don’t allow touchscreen mobile users to use pinch and tap gestures for product images. Indeed, Baymard found that 40% of sites don’t support this on mobile. 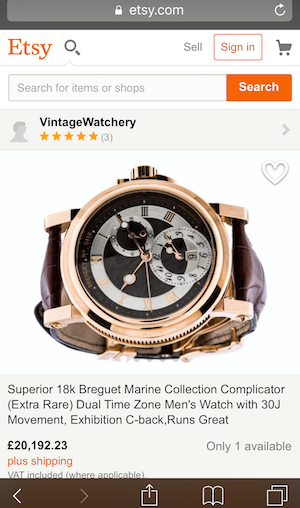 Here, Etsy allows tapping and zooming for mobile users, making it easier to see close details of products, which is critical for mobile shoppers to decide on a purchase. 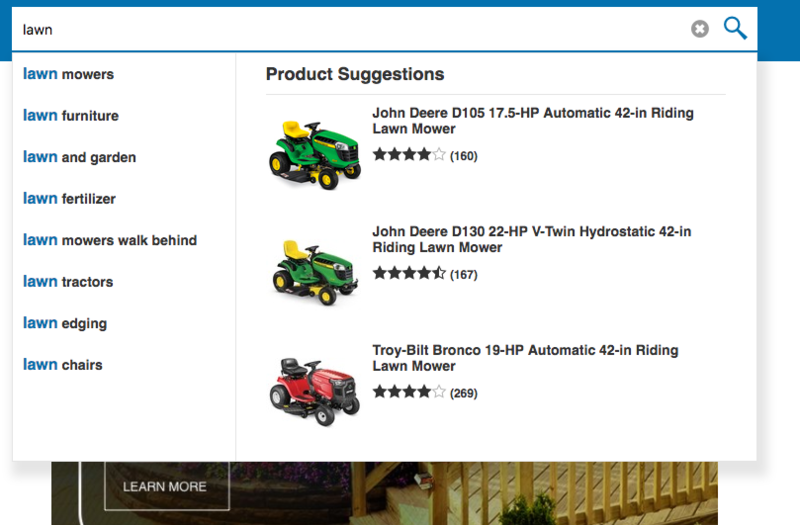 By using auto-complete on the site search function, Lowe’s helps to ensure that visitors find the right item and avoid returning zero results. 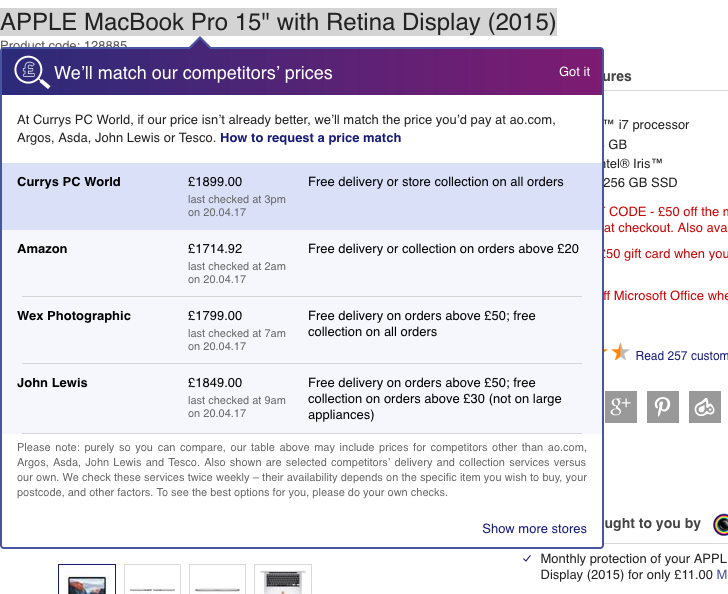 This time, Currys is included for the sticky call to action included on its product pages. 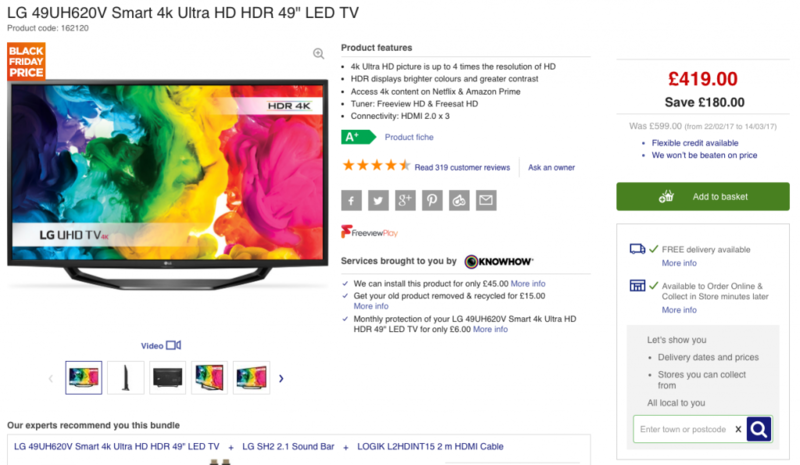 The add to basket button is there at the top of the page, but remains visible even as shoppers scroll down to view other information, such as user reviews. 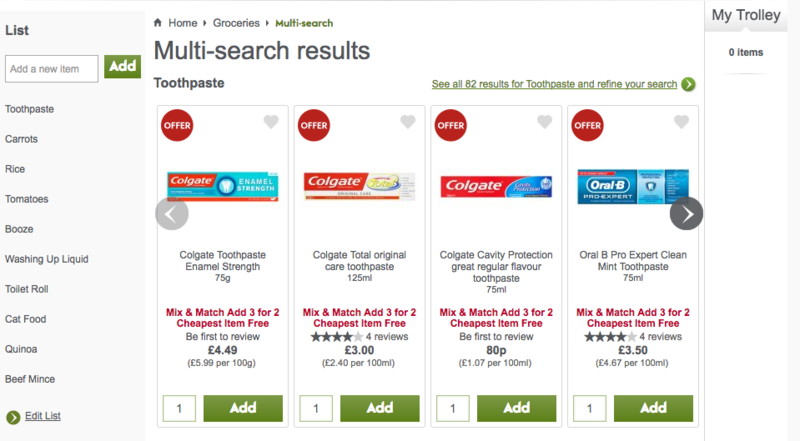 This means that shoppers can find the button easily, whatever part of the page they happen to be on. It’s a small thing, but one which can help ensure that more visitors add items to their carts. Like what you’ve read? Sign up for more! Next articleWhat Makes a Great Cart Abandonment Email? Ecommerce continues to grow rapidly, but with the huge market acting as a magnet to brands large and small, competition will ramp up faster than the total growth of the market. This means customers will be harder to win, easier to lose and fussier on price and user experience. To avoid falling behind the ever more fierce competition, you will need to both be aware of and benefit from the latest trends in ecommerce.